Write Bloody Publishing, 9781938912887, 100pp. 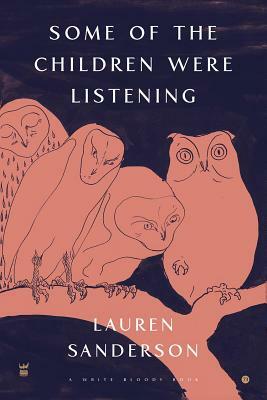 Lyrical and dark, Lauren Sanderson's Some of the Children Were Listening begins with witness. With a voice uncommonly young and impossibly certain, these poems climb out of bed & sit on the stairs, eavesdropping on a world that wasn't meant for them. In quick turns and tight threads comes the violence of nature, the nature of violence. Sanderson moves fluidly across the personal and the universal, venturing into a world beyond witness; where the trees fall when the girls scream & everyone's daughter is a king.